New Year, New Kitchen Design! | Le Gourmet Kitchen Ltd.
Is 2019 your year to update your Orange, CA kitchen design? For most of us, the kitchen is the center of our home, so a change in lifestyle often demands a change in kitchen design. Think about what you’d like to add to and, most importantly, eliminate from your kitchen. 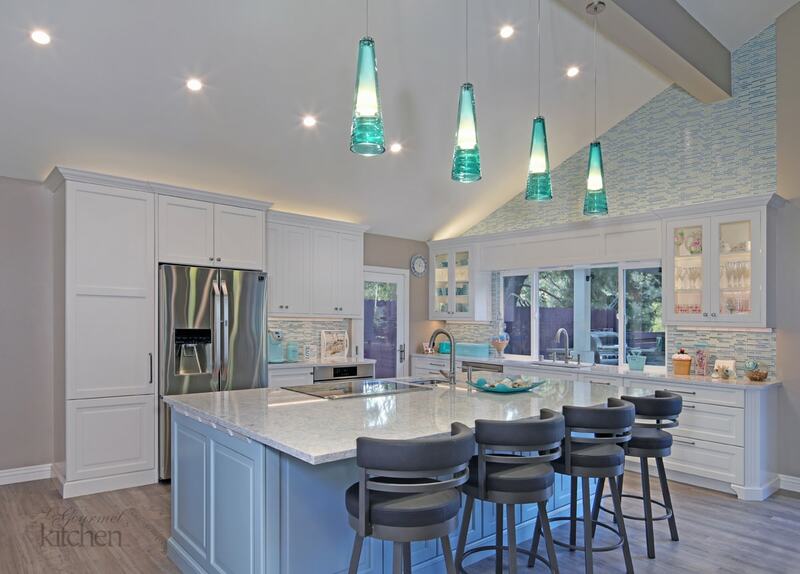 The good news for busy lifestyles is that 2019 kitchen design trends are all about calm, pared-back design that focuses on quality, not quantity. 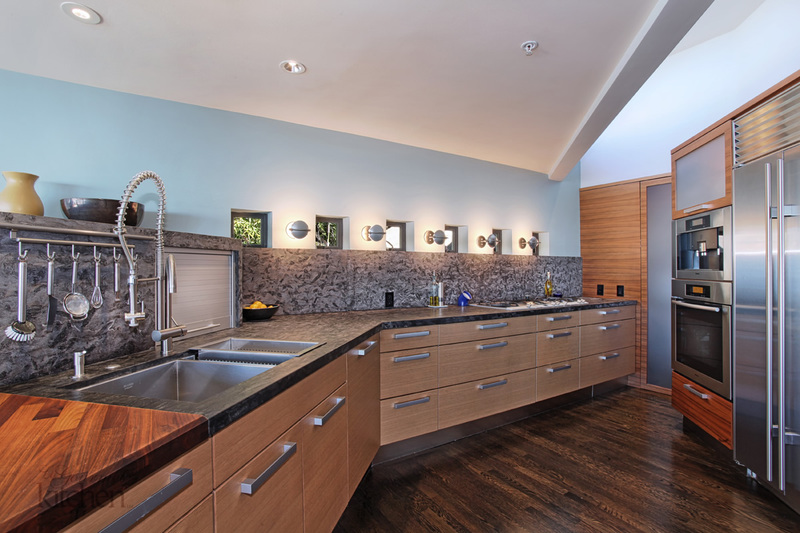 Make your new kitchen remodel a place of soulful rejuvenation. The Danish concept of Hygge is more popular than ever. It’s about creating a feeling of coziness and contentment in simple ways. The first thing to do is de-clutter all surfaces, freeing up counter and headspace. Update your kitchen design with clean lines, eliminating extras like molding or ornate cornices. Whatever kitchen style you choose, introduce an air of simplicity for a calm, welcoming environment. Removing upper kitchen cabinets has become very popular. It enlarges your kitchen and gives you more vertical space on countertops. The newly exposed wall can be used for art, open shelving or the latest trend of backsplash walls. This gives you a broader canvas to incorporate larger tiles with interesting patterns and textures extending up to the ceiling. A popular look is adding a simple shelf to the backsplash wall, for cooking essentials. Or, like this Laguna Hills kitchen design, make use of a high ceiling to include a backsplash wall that works around the upper cabinetry. If you want to move beyond a standard stainless or farmhouse sink to one that will make a statement in your kitchen remodel, try a sandstone, granite or copper sink. There are a host of textures, colors and unusual materials to provide a unique, but functional feature in your kitchen design. A neutral color palette will always reign supreme for kitchen design, with white and gray tones leading the way. 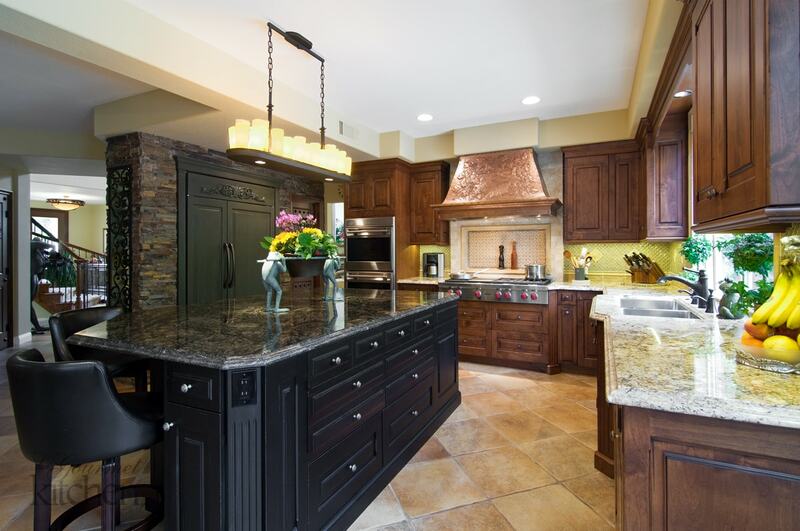 If you are looking to create a different mood in your kitchen design, however, there is a trend towards darker tones like greens, blues, plums and dramatic black like the island in this Tustin kitchen design. Practically, they are easier to maintain, but they also bring a dark but elegant mood to any kitchen design, especially with gold, copper or brass accessories. Pops of bright color and accents of wood break up any feeling of intensity. 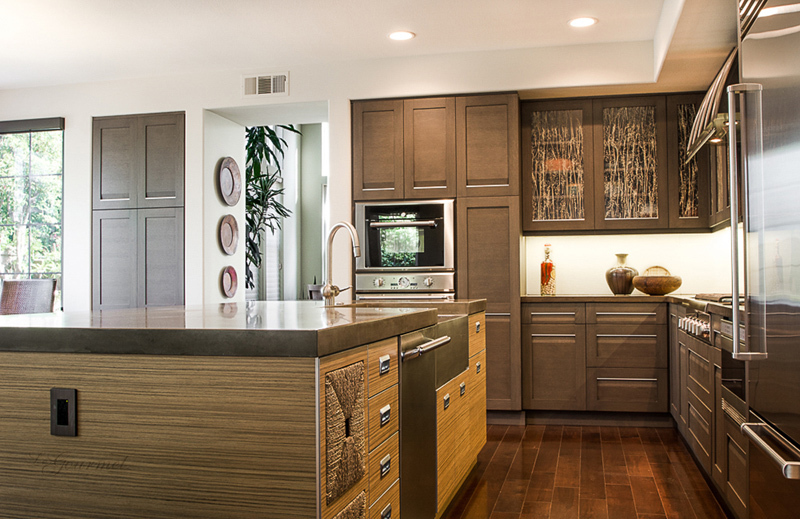 Don’t equate minimalist kitchen design with boring, as you need to bring on the texture to add depth to your room! Add natural finishes like stone and wood for semi-rustic vibes. Stone can also be used in backsplashes, tables and even as a facade for a range hood. Textured tiles are ideal for a kitchen backsplash as they add texture and visual dimension to your kitchen remodel. Don’t be afraid of mixing metals. Brass was hot in 2018 and now black pewter is in. All these can co-exist in the latest kitchen design as 2019 welcomes options for appliances and accessories in a variety of colors and textures. Faucets, handles, light switches and sinks can all be found in the latest metals, adding color and texture to your design. There is a trend to mix and match colors and textures, offering unexpected juxtapositions throughout your kitchen remodel. Choose exciting contrasts between cabinets, walls and flooring to give your design a unique and up-to-date look. Clean lines, grid motifs and black woodwork would sit beautifully with Moroccan or Spanish tiles, for example. Be bold and be rewarded by the impact your new kitchen design makes. 2019 sees a trend toward matte kitchen surfaces, which ties in with the trend for simplicity and practicality as matte surfaces are easy to maintain and effortlessly chic. Black matte kitchen cabinet hardware, light fittings, furniture legs and faucets all tick the boxes for this look. Streamlining your kitchen design and losing upper cabinets presents the challenge of storage. This is easily solved by a kitchen design expert who can equip you with exactly what you need in a way that suits your new style. At Le Gourmet Kitchen we design cabinet and pantry storage solutions customized to meet your requirements. Quartz shows no signs of dwindling in popularity with its durability, low maintenance and variety of finishes, and granite will always be a classic choice for kitchen countertops. Terrazzo is now joining in as a much sought-after countertop, following the revival of the mid-century trend, as terrazzo was huge in the 50’s. Whether you are starting a kitchen remodel to meet the needs of a growing family or just because your tastes have changed, you can be bold and experiment with the help of an experienced kitchen designer Check out our kitchen design gallery for further design inspiration and contact us today to get you started on your dream kitchen remodel.